Like two people and a dog kind of small. 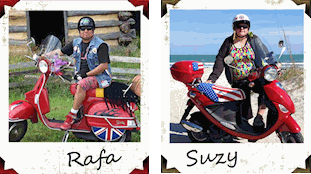 We specialize in hand crafted seat covers and accessories for scooterists. We personally make all the items you see on our website. Nothing is factory made or outsourced. We are located in Montgomery County, Pennsylvania, about 30 miles northwest of Philadelphia. We started making seat covers for ourselves, now we are making them for you. 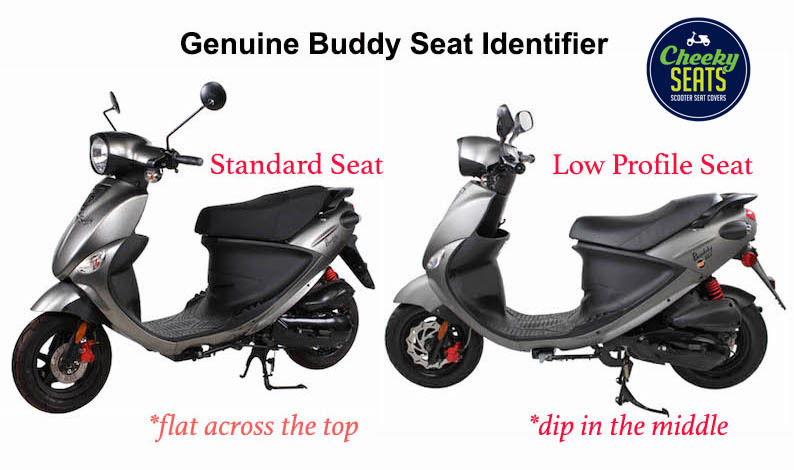 For Genuine Buddy Scooters 50, 125, 150 and 170i standard seats. (also available for Low Profile) Seat Cover Only! Does not include actual seat and/or foam! 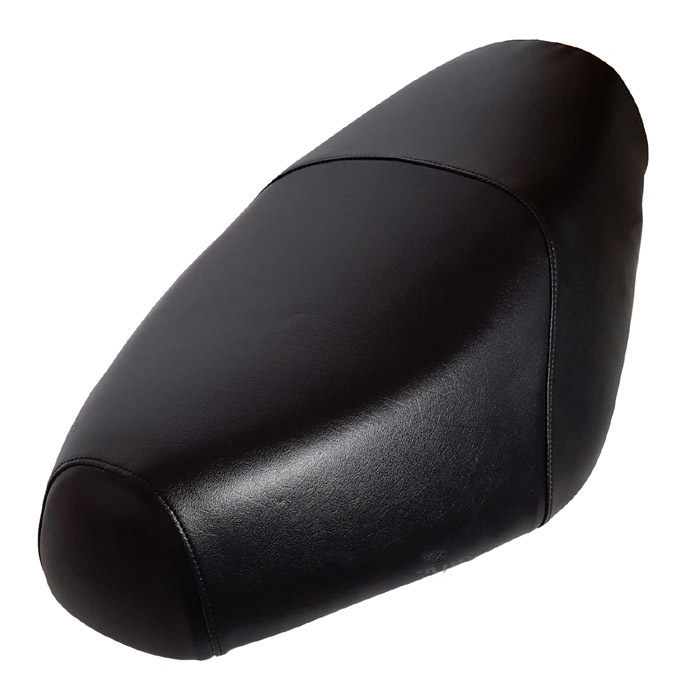 Our Classic Black seat cover is a great way to spruce up a Buddy seat that has lost it's luster, or to give you a completely new look - change the color of your seat in minutes! Don't believe us? Watch a few of our installation videos by clicking the "Installation" link above. Our superior quality marine grade vinyl seat cover is waterproof and UV stabilized, and is designed for years of rugged all weather use. No staples or tricky assembly is required with our seat covers. No tools of any kind are required, and you can easily remove the cover whenever you like. People will think you had your seat upholstered, because the way we tailor the seat covers gives them a beautiful fit and finish. All Cheeky Seats products are crafted by hand in the USA, in the beautiful rolling hills of Pennsylvania. Our seat covers are meticulously tailored to fit the form and contours of your seat. We use an identical model seat to pattern from to give you a clean, polished, upholstered look in a removable cover. Super easy to install, remove and change! No staples or tools required. An adjustable shock cord is hidden out of sight and keeps the seat cover tight. All of our cotton and fleece seat covers are machine washable cold - line or scooter dry. Our faux leather, vinyl and premium seat covers can easily be spot cleaned with soap and water. Looking for something different? Contact us and we will make a seat cover just for you! Check out our Fabric section for more options! Copyright © 2019 Cheeky Seats Scooter Seat Covers.